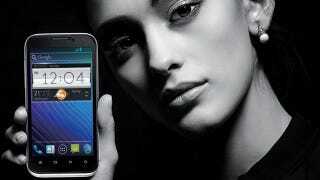 ZTE announced last week that it was to launch a slew of new phones this week, and it hasn't failed on its word. Pick of the crop is this, the Android-running Era. Powered by Nvidia's quad-core Tegra 3 chipset, it packs a 4.3″ display running at a resolution of 960×540. It'll arrive running a version of Android 4.0, with 8GB of internal storage space and an SD card slot for expansion, and is just 7.8mm thick. All in, it sounds like a neat addition to the fold.